Spinning today in the ‘rock room’ is a bootleg classic and loosey-goosey early flight by Paul McCartney and Wings. The recording 'Got Any Toothpicks?' 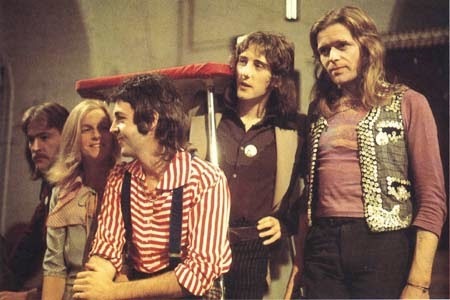 captures the best available soundboard clips from Wings introductory 1972 tour of Europe. The title of the bootleg hails from Linda McCartney's exclamation at the beginning of the recording. Released on famed label Vigotone in 1998, 'Got Any Toothpicks' is a core release in terms of documented Wings live performances. The soundboard recordings are warm, clean and balanced, obviously hailing from the bands professional recording gear. The first nine tracks of the collection capture the last song of the bands first set and the majority of the second set hailing from August 22, 1972 in Antwerp, Belgium. 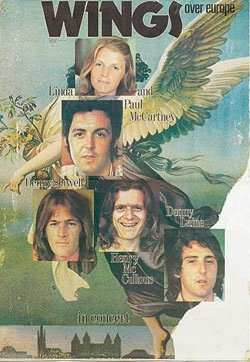 This early configuration of Wings featured the McCartney's, Denny Laine, Denny Seiwell and Henry McCullough. The group at this junction was acting as McCartney's experiment at returning to smaller venues and reviving a true 'band' experience, similar to the Beatles early attempts at fame. Eventually and obviously McCartney's popularity would over shadow his attempts at creating any sort of anonymity or illusion of who the band was really about. What is unique about these initial concert excursions is the rough attitude and intimate glimpse into McCartney's rebuilding of his career, post-Beatles. The Antwerp tape begins with the closing number of set one, 'Best Friend', a unreleased rocker from these formative Wings days. The song sways like a summertime swing set, while McCartney channels Elvis during the middle eight, quaking his legs and curling his lip. A tight little rock number that illuminates the talents of this early line up. Streaming in on a Morse code guitar plucking from high on the neck, the concert favorite 'Soily' is ushered in on marching band snare drumming and Macca's rumbling bass. The song is comprised of many breakdowns rooted in a funk aesthetic combined with crashing descending guitar lines. McCartney can be heard yelling changes off mic during this fine performance. A testament to the staying power of this song is that it would appear four years later on 'Wings Over America' as well as being the 'B" side to 1977's 'Maybe I'm Amazed' single. After some on stage hi-jinx, the Wild Life track 'I Am Your Singer' follows, a collaboration between Paul and Linda. The song is received well by the audience, and is a favorite 'deep' cut of the 'rock room'. The percussive pulse of drums in conjunction Macca's bass give the song a feathery ocean feel. The shaky phased guitars and moist slide solo add to the breezy vibe. Linda's own 'Seaside Woman' follows and is introduced by Paul enthusiastically. The reggae groove chucks along buoyantly, its creation inspired by Paul and Linda's visit to the island of Jamaica in 1971. 'Seaside Woman' would eventually see release as a single in 1977 with Wings playing under the monicker, Suzy and the Red Stripes. The songs horny rhythm is contagious, and regardless of your opinion of Linda McCartney's songwriting abilities, this one rocks. Denny Laine emerges from the shadows to sing 'Say You Don't Mind' a lost 1967 single composed by Laine after his stint in the Moody Blues. The reason for Laine's long stint as McCartney's right hand man in 'Wings' is obvious when his original songs are given proper stage readings. The man's talent for melody and song is strong, but unfortunately his career was destined to be that of a sideman. Henry McCullough gets his moment to share his talents next with the aptly titled, 'Henry's Blue'. The song a straight blues, with ample room for McCullough's clean toned guitar examinations of the songs changes. McCartney's bands are not normally a vehicle for blues jamming, but this is a well played, though straight forward musical jam. 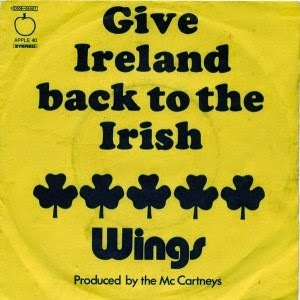 A moving and wonderfully played version of Wings current single, 'Give Ireland Back to the Irish' that follows becomes a revolutionary sing a long. Composed in response to England's involvement in the 'Bloody Sunday' massacre, the song had been banned throughout England but was continued to be played on stage by the band. The version reviewed here cuts out before the songs conclusion. The extremely rare reading of the Leadbelly classic 'Cottonfields', possibly the only time this track was performed comes next. McCartney pumps out the lyrics with a kinetic syncopation and joyous attitude. The band is locked in tight, making this performance worth the price of admission. The soundboard recording is clean and the music fantastic! This is a foot-stomping rendition, its enthusiasm cannot be expressed properly through this review. After asking the crowd to settle down, the band begins a delicate and formative version of 'My Love'. The song runs through the changes once before Macca enters with the vocals. Paul's Fender Rhodes quivers, quaking through the recording tape, his voice flawless, the performance priceless, though the backing vocals are slightly flat. Kudos to McCullough's fine solo, that would reach perfection on the upcoming studio release. The Antwerp concert tracks end here and what follows next is another reading of 'Henry's Blue', this time coming from the August 20th Amsterdam concert. The sound quality improves quite a bit, highlighting another fine blues improvisation by the band. The unreleased Wings song, '1882' originally planned for inclusion on the Red Rose Speedway, is featured here in a slightly doctored guise. 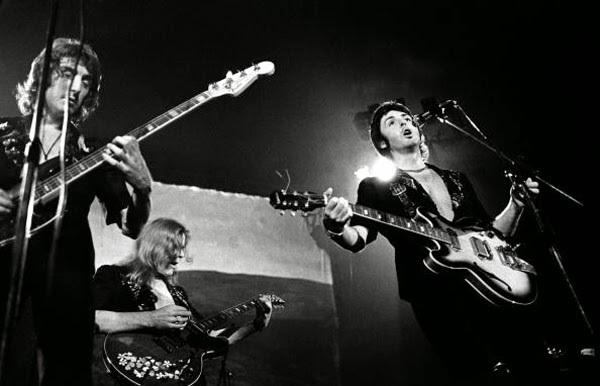 This is a live performance from August 21, 1972, but when the track was in the running for Red Rose Speedway, McCartney added vocal overdubs to the song. A lost classic that moves like a lead footed waltz contrasting McCartney's honey thick vocals. Unfortunately only a bit over two minutes of 'Wild Life' exists from the same August 21 concert, but what is here is heavy and well played, though short lived. 'Hi, Hi, Hi' is also featured in a slightly truncated fashion, but worthwhile because the performance is incendiary and thick with smoke. These aforementioned two musical clips come from the soundtrack of a unreleased MPL project hence their chopped up and incomplete existence. 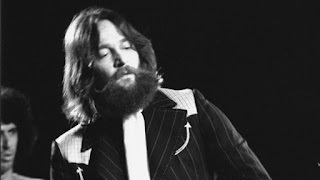 The final track on the disc is from Dutch radio on August 20, 1972 and contains Paul, Linda and Denny gathered around a piano singing like a group of drunk sailors. The performance is brief but fun and unique and ends the bootleg in a pleasing fashion. The bootleg recording 'Got Any Toothpicks', is a proper and fine document of Wings during a unique period in the bands development. The featured Antwerp show can be enjoyed in its entirety by finding circulating audience recordings in addition to these aforementioned soundboard tapes. McCartney's first post-Beatle excursions are abundant with amazing compositions and small venue rock celebrations available on recordings like this one. Start here for fine sound quality, rare performances and historic rock in a enjoyable collection. I usually don't like incomplete boots,,,,unless they have unreleased songs. I'll have to track this one down....Too bad there aren't more from this era of Wings.